I have a friend who had his subs stolen out of his vehicle. He does not know what brand they are but has a picture, which I will attach. I have never seen this brand before. Anyone know what they are? will my amp destroy these subs? this amp and these subs.. allright togather? 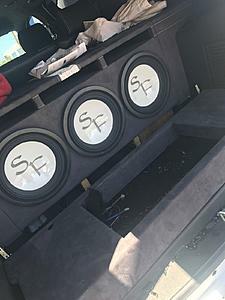 How much are these subs worth? Quick Reply: What brand are these subs?